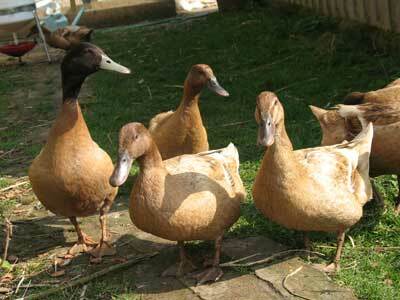 The Khaki Campbell duck is a very popular duck breed due to excellent egg production, also it makes a great pet duck. 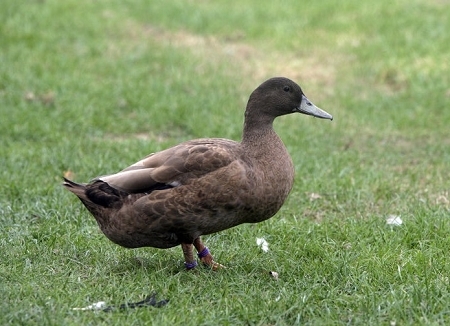 The khaki campbell duck is originally from England. They originated from a cross between the indian runner duck and rouen duck. They have very calm and relaxed personalities, making them a common choice as a backyard pet duck, because they also have excellent egg production and quality. 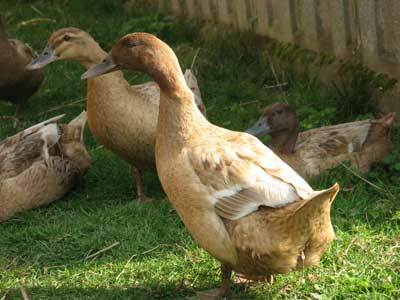 The khaki campbell is one of our best selling ducks for sale. California Hatchery is proud to offer the khaki campbell duck for sale! My ducklings arrived very healthy and are still doing great a week later. They have tripled in size since I got them. I got this kind and 3 other breeds and all got shipped together and are doing great. I would recommend ordering from this website, except that the mobile version of the site isn't very good so I just switch to the regular version and it's fine. They sent me emails in a timely manner and I knew exactly when the ducklings were coming and they came the day that was planned. Arrived in vibrant condition. Have not lost one yet. Clear eyes, active, wonderful little birds. Will recommend this hatchery to anyone. Knew exactly when our ducklings would arrive.